A New Year promises to be full of new innovations and improvements. According to Gartner, a leading research and advisory company, fresh trends are going to influence intelligent, digital and mesh areas. For this reason we decided to shortly describe the most important subjects that IT cannot afford to ignore in 2018. AI is not a new thing, and everyone knew earlier or later it will be included to investment priority of many companies. According to Gartner's observations, by 2020 systems will work autonomously. Their ability for decision making will make a difference for tech initiatives in future. The influence of AI will also spread through customer services. Every app will somehow include AI to develop knowledge about new users experience or companies analytics. AI will also play an important role in advanced analytics and intelligence processes. Usage of IoT is an irreversible process, as it connects more and more objects. Gartner predicts its development in collaboration with AI in the coming years. Together they simplify household process, and will be involved in non technological issues in future. Even though Digital Twins is a trend for the last 30 years, its popularity continues to grow. Think of digital twins as mirrors that reflect the activity of multiple processes. They provide an information on the status of their real-world counterpart and improve work. The fields that use this technology save lots of money in maintenance repair and operations. Edge computing is where alteration, content and computing happen closer to the user or border of the network. Companies should begin using edge design patterns in their work — especially those who are connected with IoT elements. The cooperation between user and computer for problem solving purpose grows each day. In the next few years conversational interfaces will become even more necessary than before. experience and we already got used to it. This algorithm was designed for the crypto-currency Bitcoin to manage electronic cash without a central administrator. Blockchain is progressing from a digital currency infrastructure into a base for digital conversion. It also has many potential applications including, in the government, healthcare, manufacturing, media distribution, identity verification, title registry and supply chain. Next year enterprises should use “event thinking” , real-time situational awareness will be a required characteristic for 80% of digital business solutions, and 80% of new business ecosystems will require support for event processing. CARTA or Continuous Adaptive Risk and Trust Assessment, was introduced to the world this year and already gained great publicity. As an evolution of IT security, CARTA offers three phases to apply. Run, plan and build are approaches that allow for real-time, risk and trust-based decision making with adaptive responses to security-enable digital business. A New Year promises to be full of new innovations and improvements. 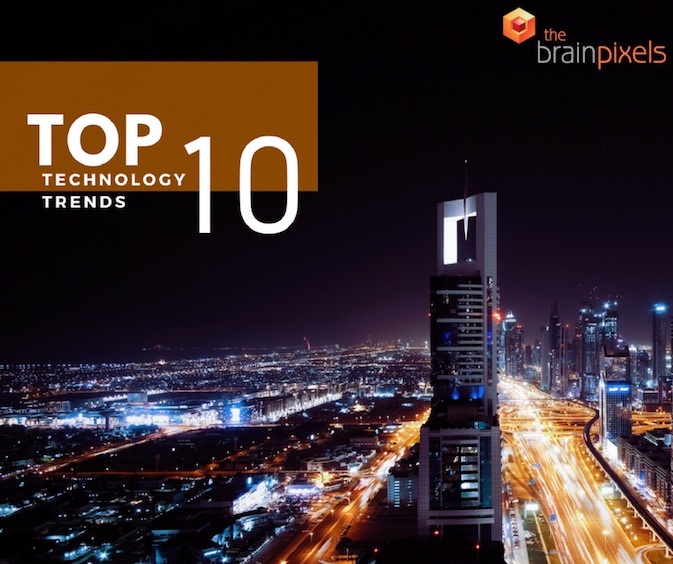 According to Gartner, a leading research and advisory company, fresh trends are going to influence intelligent, digital and mesh areas. For this reason we decided to shortly describe the most important subjects that IT cannot afford to ignore in 2018.